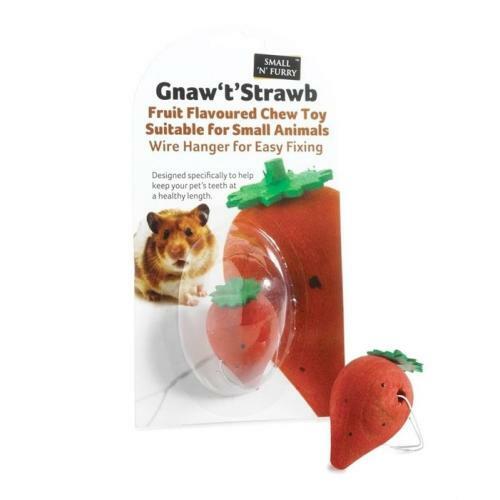 Gnaw T Strawb is a natural, fruit flavoured wooden chew toy. Designed specifically to help keep your pets teeth at a healthy length. Hanger for easy fixing.